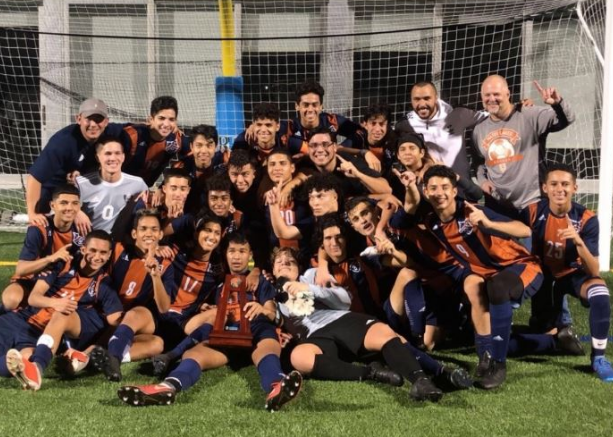 Miami-Dade County, FL – February 2, 2019 – The Mater Lakes Academy (MLA) Boys Varsity Soccer team made history on Friday, Feb 1st , 2019. In addition to having an undefeated season, the team became District Champions for the first time. In a game against LaSalle High School, Mater Lakes was down 2-0 until the last 8 minute when MLA scored a goal. With four minutes remaining, MLA tied the game with another goal. This led the game to go into overtime and senior Juan Campos scoring the winning penalty kick. The team heads to the Regional Quarter Finals next — playing Keys Gate at St. Thomas University on February 6, 2019.